Air Creation's New Tanarg represents a leap forward in chassis design for the big French trike maker. In an upcoming article in Kitplanes magazine (5/05 issue), I'll review this all-new machine. As you can see, it uses technologies and design not so different from a Honda Goldwing motorcycle. The pilot and passenger sit lower, making the machine more stable on the ground, and the steel chassis structure folds down like no Air Creation trike before it. As U.S. representative, John Kemmeries says, "It's a spendy bird," but he sold out of the first batch before anyone even saw it...quite a start. Air Creation’s New Tanarg represents a leap forward in chassis design for the big French trike maker. In an upcoming article in Kitplanes magazine (5/05 issue), I’ll review this all-new machine. As you can see, it uses technologies and design not so different from a Honda Goldwing motorcycle. The pilot and passenger sit lower, making the machine more stable on the ground, and the steel chassis structure folds down like no Air Creation trike before it. As U.S. representative, John Kemmeries says, “It’s a spendy bird,” but he sold out of the first batch before anyone even saw it…quite a start. AeroTrekking With new partners from the software industry, 18-year ultralight and LSA veteran John Kemmeries has created the Southwest AeroTrekking Academy LLC. Instructors teach individuals how to fly weight-shift aircraft like the Tanarg or other Air Creation trikes, and they show students how low-level flying can be done safely. The purpose is to allow aerotrekkers to enjoy the beautiful landscapes of the great American southwest from altitudes that allow them to take in the scenery in a unique manner. Those who elect AeroTrek training embark on three levels of preparation: In level one flight training, aerotrekkers fly over dry lakebeds, short prairie grasses, hard sand, meadows, wide dry washes and other terrain that allow for obstruction-free landings. 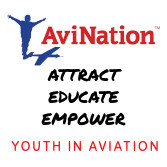 Ground schooling covers the rules of low-level flight to ensure that students are not violating airspace and visual flight rules. By level two, aerotrekkers are introduced to routes that require more sophisticated control inputs to land safely in a power-out or emergency situation. 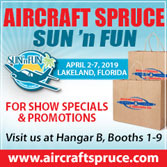 Flight and ground sessions cover how to identify safe landing zones, make adjustments for weather conditions, and manage the aircraft's energy. In level three, aerotrekkers are introduced to advanced low-level flying. 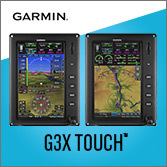 Instruction covers ridge soaring, the performance parameters and limitations of the aircraft, understanding terrain, and more advanced weather interpretation. It's A Lifestyle Training at the AeroTrekker Academy prepares trike pilots to fly in Arizona and New Mexico. Typically, flights range about 50 miles in the company of other aerotrekkers to enjoy the routes and destinations that John and his partners have established. From multiple bases-Rodeo, New Mexico; Pleasant Valley Airport (P48) near Peoria, Arizona; and Rimrock, Arizona-trekkers fly in small groups along beautiful desert and majestic mountain landscapes. Along the well-defined routes, trekkers stop at flying communities where they spend the night in pleasant accommodations (you won't have to tent camp while aerotrekking). 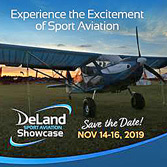 John and his team endeavor to provide a first-class activity that is little like what you may have experienced at other flight training schools. 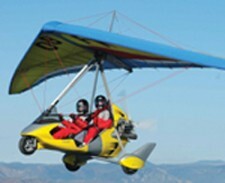 To learn more about aerotrekking, visit www.aerotrekking.com. 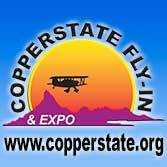 Make your plans early; this is a way to enjoy aviation that is different than any other flying activity|. AeroTrekking With new partners from the software industry, 18-year ultralight and LSA veteran John Kemmeries has created the Southwest AeroTrekking Academy LLC. Instructors teach individuals how to fly weight-shift aircraft like the Tanarg or other Air Creation trikes, and they show students how low-level flying can be done safely. The purpose is to allow aerotrekkers to enjoy the beautiful landscapes of the great American southwest from altitudes that allow them to take in the scenery in a unique manner. Those who elect AeroTrek training embark on three levels of preparation: In level one flight training, aerotrekkers fly over dry lakebeds, short prairie grasses, hard sand, meadows, wide dry washes and other terrain that allow for obstruction-free landings. Ground schooling covers the rules of low-level flight to ensure that students are not violating airspace and visual flight rules. By level two, aerotrekkers are introduced to routes that require more sophisticated control inputs to land safely in a power-out or emergency situation. The Air Creation Tanarg trike (weight-shift control LSA) is no doubt the Cadillac of trikes. Manufactured in France, the Tanarg was the first trike to earn S-LSA approval. While there are many reasonably priced trikes available from Air Creation and other trike manufacturers, the Tanarg represents the top-of-the-line pricewise. The Tanarg may be flown with two different wings- the more docilehandling Kiss wing or the faster iXess wing, both manufactured by Air Creation. With a slightly longer wheel base than other Air Creation trikes, the Tanarg has improved stability during ground taxiing. The completely redesigned Tanarg carriage. A steel chassis frame replaced the array of aluminum tubing joined by gussets on earlier Air Creation trikes. The new Tanarg offers greatly expanded baggage capacity. The Tanarg may be equipped with a digital electronic information system. Obvious in the photo is the protective cover surrounding the engine kill switch. The Tanarg may be equipped with traditional gauges. Obvious in the photo is the protective cover surrounding the engine kill switch. A BRS ballistic recovery chute is an option. It's housed beneath the back seat, and is ejected through a cloth panel on the right side of the chassis. The chute release handle is located below the center of the front seat. The Tanarg's standard Rotax 912S engine is supported in a steel cradle that attaches to the airframe through widely spaced isolation mounts. Arplast composite propellers are also standard. First weight-shift S-LSA sets the bar high In street vernacular, the term "crotch rocket" refers to a lean, lightweight, high-performance motorcycle. Sometimes called sport bikes, these machines have become radically snazzy in modern years by the addition of rakish body panels. Sport bikes accelerate like a rocket. They corner tightly, and they turn heads wherever they go. 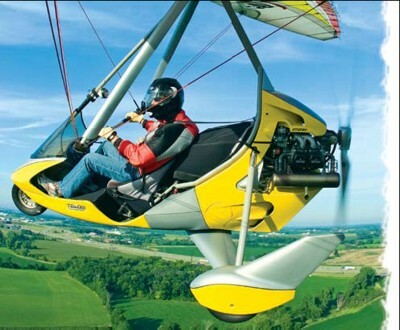 The first weight-shift trike to earn special light-sport aircraft (S-LSA) approval, the Air Creation Tanarg might be compared to just such a vehicle. In fact, that's precisely how its French manufacturer describes its newest machine. Yet, while sport bikes are touchy and have less margin for error than other motorcycles, Air Creation's flying sport bike is highly stable with predictable handling. Compare Tanarg's performance to other trikes, and it comes out as a top-of-the-line entry. The name Tanarg comes from the highest mountain range in the Ardeche region of southern France, not far from the Air Creation factory. It is derived from the Celtic god of natural forces, said United States importer and Air Creation partner John Kemmeries. Introducing a New Generation Trike Air Creation introduced the Tanarg in 2005 to a warm response. U.S. importer Kemmeries sold his entire first shipment of six machines before it arrived in this country. Most were bought sight unseen. Those sales happened despite a sky-high price for a weightshift aircraft. Those Tanargs came in at $53,000, at least $20,000 more than the next closest high-end trike. Now, as the U.S. dollar continues to slide compared to the euro, a Tanarg equipped with every option can hit $85,000, an almost unbelievable figure for a trike. 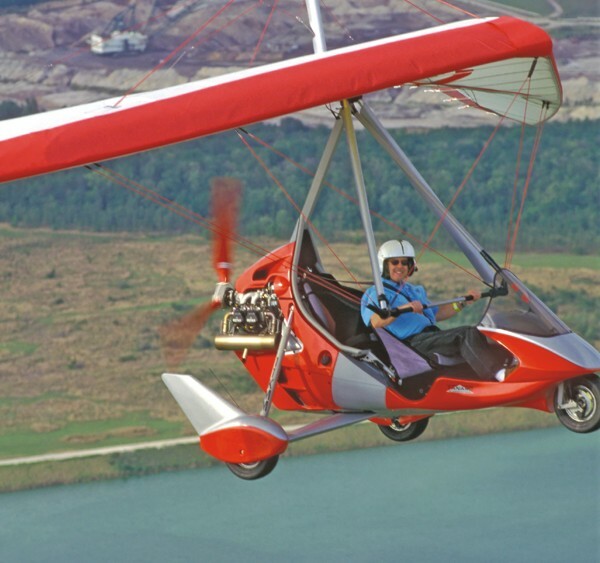 You can still buy reasonably priced trikes, including some Air Creation models, for less than $20,000 ready-to-fly, but the superdeluxe Tanarg commands the highest price in weight-shift aircraft. Once the shock of the price tag wears off, you should examine this machine closely. You'll see that it is built like no other trike. No effort was spared in the design of the Tanarg, which spanned a four-year period-a major investment for the world's most prolific trike builder, and one that must be recouped in its retail price. This aircraft received great attention to detail while also gaining in strength and ease of use. Air Creation engineers built on their years of success designing and producing more than 3,000 trikes. The result: Chief designer Gilles Bru has created a work of aeronautical art. Nothing on the market is quite like the Tanarg. What grabs your attention right away is its extensive body fairing, just like modern sport bikes. It's a look that sells and will redefine how trikes are built. New From Nose to Prop The Tanarg carriage, or chassis, is new in every way. Every part of it is different than any earlier Air Creation trike. Those differences start with a steel structure replacing the array of aluminum tubing joined by gussets on earlier Air Creation trikes. Steel allows a precise control of structure while optimizing strength and weight. This material-though reliant on precise welding-gave lead designer Bru greater freedom to better position elements of the structure. Before the Tanarg, a welded steel structure was widely seen as unnecessarily complex for simple weight-shift aircraft. But computer-aided design technology and laser-cutting capabilities allowed Bru and his design team to overcome these problems and capitalize on its benefits. The structure of the Tanarg's chassis is divided into three main elements that bolt together, which enables replacement of individual parts if damaged. Its Rotax 912S engine is supported in a steel cradle that attaches to the airframe through widely spaced isolation mounts. This produces a sturdy yet sufficiently flexible attachment with excellent vibration isolation properties. 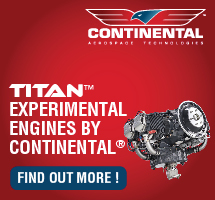 The engine's thrust line has been optimized to dampen pitch movements that accompany weightshift aircraft power changes. Even with the 100-hp Rotax 912S engine, changes of power in flight in the Tanarg don't tend to alter the carriage's position relative to the wing as much as in previous models because of that improved thrust line. Some powerful trikes require careful use of the throttle to avoid causing the carriage to swing under the wing|something like the pendulum effect possible under a powered parachute canopy. The Tanarg's primary mast structure is chromoly steel, which is painted to reduce the chance of corrosion. But the nose wheel and main shock-absorbing landing gear is still made of aluminum, as are the gear leg struts. While steel is appropriate for areas needing great strength, aluminum will always be used on aircraft because of its light weight and corrosion resistance. You might think all this steel and fancy bodywork adds considerable weight, but Bru reports all the changes to the Tanarg remarkably added only 5 kilograms (11 pounds) to the deluxe (and still-in-production) Clipper chassis. Such a small weight bump is quite astonishing when you consider how many changes were made to the Tanarg and how robust the entire assembly is. Lift With Care To learn more about trikes, watch a trike pilot set up his aircraft. A fairly compact package transforms to a full aircraft in a series of steps that take one person less than half an hour. Yet an awkward moment typically arrives when the wing must be lifted into position atop the carriage. On most trikes, lifting the wing up causes the trike to roll backward. To stop that, most trike pilots chock the wheels. That hassle is history on the Tanarg. Underneath the forward support of the rear seat is the fulcrum point where the Tanarg's wing mast now hinges. Bru says, "When you lift the wing, the trike no longer rolls." He assured me that one person can also erect the wing easily, no small feat for a 100-pound wing raised 7 feet. Two pins secure the location of the mast when fully erected. These pins must be in place securely or a panel light will glow to show the incomplete assembly. New Safety Features Air Creation went to some length to separate electrical and fuel lines for safety reasons. All electrical wiring is routed down the left side of the chassis. A kill switch is located just under the left knee of the back-seat occupant; in a training situation, that would be the instructor. The main switch is on the panel. Both are protected so they can't be changed accidentally. All fuel lines are routed down the right side of the chassis to separate them from electrical wires. The choke is opposite the kill switch, under the right knee of the back-seat occupant. Fuel filters are located on that side, too, as is the sight gauge for the fuel tank, which holds 65 liters of fuel (17.2 gallons); enough for about five hours of flying. The Tanarg's throttles changed along with everything else. The hand throttle is now push/pull just like a conventional aircraft throttle, but the right foot throttle remains part of the beefy and comfortable foot pedal. More Comfortable Cockpit Most trikes have cockpit fairings, but they're still open-cockpit aircraft. Trike enthusiasts and many other sport aviators wouldn't have it any other way. In a speedy machine like the Tanarg, you'll want to invest in a comfortable and protective full-face helmet. But Air Creation also wants you to be comfortable and well served. Accordingly, cabin comfort received attention in this new design. The rear seat no longer requires passengers to climb in. Instead, they can turn around and sit down and push the front seat forward to swing their leg over. The seat back angle also is adjustable, rather like an airline seat moving back and forth a few inches. You can also tension the seat side panels, which can enhance your feeling of security, much like adjustable bolsters in some high-end sports cars. The Tanarg accommodates occupants of various sizes in more ways than seat adjustments. Using a threaded, over-center lever, its foot pedals can be moved fore and aft to accommodate taller or shorter pilots. The rear foot pedals also adjust after removing a collar pin, which unlocks the pedals' fit into gears and permits each pedal to be separately adjusted via rotation. Weight-shift aircraft have sometimes been faulted for having little or no baggage capacity. Air Creation listened and added many such areas in the Tanarg. Storage areas include the back of each seat; a map pocket; removable storage areas on either side of the pilot's legs right at the step-in point (good for 12 pounds each); and an add-on bag that can hold more than 20 pounds of gear that can be installed in the back seat when the trike is flown solo (a common practice). A not-accessible-in-flight space aft and under the seat frame is available unless you choose to fill this space with an optional emergency parachute. This large storage area can hold slightly more than 30 pounds of baggage. Access to this area is gained by folding the rear seat-back forward or through a removable side panel in the rear fairing. In earlier Air Creation trikes, the rear seat folded to make better support for the front seat-back when flown solo. Now the new storage bag serves this purpose, so you gain not only space but also better support. The Tanarg carriage sits a little lower to the ground, which adds to ground stability. The nose wheel is somewhat extended compared to earlier Air Creation trikes; that longer wheelbase also aids taxi stability. Multiple Personalities Another aspect of trikes that differentiates them from nearly all other aircraft is they can have different wings fitted to their carriages, and doing so can significantly transform the qualities of flight. Air Creation made the Tanarg available to me with two wings: an older but lighter-handling Kiss wing and the newer, yet still remarkably easy handling iXess wing. I've enjoyed flying the Kiss wing on earlier Air Creation trikes like the Clipper and fell in love with its easy touch. The iXess is yet another advancement in improved handling and performance; parameters that often work in opposition on trike wings. The 2005 iXess wing introduced a number of innovative features. A series of textile ribs-vertical panels sewn inside the complex double surface wing-precisely control the shape of the middle two-thirds of the wing to optimize lift. An ABS-plastic insert in the leading edge and close batten spacing help avoid profile distortion, which can cause loss of aerodynamic efficiency in this semi-flexible wing. Washout twist in the wing enhances handling. The iXess also has cloth reinforcement on the trailing edge to relieve any stress from a tautly stretched wing. Air Creation uses tough Trilam fabric on the entire upper surface of the iXess wing. This modern sailboat sail material has excellent anti-stretch properties and is resistant to ultraviolet degradation. As with the Tanarg chassis, attention to detail is evident in the highly professional wing sewing. To help maintain the fine handling seen in the Kiss wing, a portion of the iXess undersurface uses spinnaker cloth, a modestly lighter fabric with more flexibility. This more malleable cloth keeps the relationship between upper and lower surface more elastic to help with handling and low-speed flight characteristics. The concentration of spinnaker cloth is at mid-span where it can do the most good. During assembly or derigging, you realize what it takes to make a modern membrane wing like iXess. The design uses nine lower ribs, with somewhat wider spacing at the tip to allow more shifting of the wing for improved handling. The way the sail and airframe move relative to one another is what allows a delta wing to respond so well to weight-shift control inputs. The upper surface of iXess has 13 ribs to maintain a precise airfoil shape. In all, 44 ribs are inserted in the iXess wing. Despite their differences in wing membrane construction, the Kiss and iXess wings use the same structure inside. That simplifies manufacturing and makes it easier for dealers to have parts on hand. Let's Go Flying! Once seated, and after I'd explored the cockpit surroundings, I fired up the powerful Rotax 912S and taxied out for takeoff. The Tanarg offered a well-suspended ride and almost no engine vibration. Nose-wheel steering is no longer part of the front fork assembly. Now the linkage is part of the main airframe, and it is a reverse trailing link such that when you hit the brake, the trike doesn't nose down. And, brakes aren't limited to the nose wheel as in most trikes. Hydraulic brakes are fitted to all three wheels and, along with larger tires, give the Tanarg impressive slowing and stopping power. Two hydraulic cylinders allow the front and rear brake systems to be adjusted separately. One-handed flying was easy with the Kiss wing attached to the Tanarg, and that is not common on weightshift two-seaters. But the iXess wing offers adequately light handling and boasts a higher top speed. If you plan to go cross-country often in your Tanarg-something it does quite well-then the iXess wing should be your choice. If you fly locally most of the time, the Kiss may be your sweetheart. Both the Kiss and iXess wings have a trim system. With the iXess wing, hands off at an idle thrust power setting with the trim wheel turned to each limit changed trim speed from 65 to 85 km/h (41-53 mph), a notable change for a system that lifts the wing's trailing edge. The spread is even wider at higher power settings. While the new iXess wing comes in only one size, the Air Creation trimmer system extends its usable speed range. Setting the trim to neutral also may be useful to help contain that big engine driving you into the air. I flew the Tanarg solo, and after the first launch I never used more than about 60-percent power to get aloft. High elevation or two-place flying with large American occupants may demand full power at takeoff. I found the iXess wing to have an indicated range of about 50 to 140 km/h (31-88 mph) dual or solo. A maximum dive with no power indicated 72-75 mph when the trimmer was left in the neutral position. Compared to most trikes, this is speedy, though it's no match for many fixed-wing LSA. The Tanarg offered a smooth ride on the ground, and both models I flew impressed me with the low amount of vibration you feel in the seat. This new trike chassis was clearly designed for longer flights. Air Creation has long offered recoil three-position seat belts for both seats, and a ballistic parachute as an option. Air Creation worked with BRS to create a bracket that comes standard with all Tanarg trikes. When installed, the BRS rocket motor will exit on the left side of the Tanarg fuselage. The parachute occupies the luggage space below the rear seat. Can You Handle a Weight-Shift Machine? If you've thought about trying a weight-shift aircraft, the Tanarg is one you should experience. You may not wish to spend the money on this top-of-the-line model, but it will give such a good ride that it might change your mind about the potential of weight-shift aircraft. The Tanarg is a deluxe aircraft truly deserving of another look by those who may have cast a doubtful eye on weight-shift flying machines. I recommend contacting Kemmeries Aviation and finding the nearest place to get a test flight. You might want to travel to one of Kemmeries' facilities in the greater Phoenix, Arizona, area. Not only can you test-fly the entire line of Air Creation trikes, but also you can take lessons seven days a week. You may even want to join one of the company's AeroTrekking adventures (see sidebar). The Tanarg is a worldwide sales success, with more than 100 machines produced and supplied in its first year of full production. Even at the highest price in the weight-shift world, about 30 of those machines were sold in the United States. Usually when a product sells this well despite a high price, several good reasons exist. Thanks to the Tanarg, trike flying is no longer what you once thought. Take a closer look and you just may be surprised! Notes: First US delivery: March 2004. Notes: 1 With one occupant, takeoff distance is 131 feet and landing distance is 147 feet. Standard Features Rotax 912, 81-hp engine with electric starting, liquid-controlled carburetor temperature, Arplast 3-blade prop, Tanarg completely redesigned chassis with deluxe cockpit and one-person, easy-lift mast erection, rear-seat throttle and steering, iXess wing (available in single size), in-flight trim, hand and foot throttles, nosewheel steering, nosewheel brake and fender, 3-wheel brakes with parking feature, 3-point recoil pilot restraints front and rear, 3-wheel suspension, instrument panel, 17.2-gallon fuel tank, several storage areas (see article). Options Kiss 450, Fun 450, and iXess Training model wings also available; ballistic parachute system. Construction Aluminum airframe, fiberglass fairing, mixed-fabric Dacron sailcloth wing covering. Made in France (with 20% ownership by American importer). Distributed by U.S.-based importer. Pros - Entirely new trike chassis by established manufacturer. Many excellent detail improvements (see article). Creature comforts enhanced in significant ways. Beautiful fabrication of all components. Superb engine vibration isolation. Sets a new standard for Air Création competitors to meet. Cons - Sets a new price standard while pushing the design concept forward. Combined with a high euro-to-dollar exchange rate, price is well above $50,000. Many pilots don't "get" trikes so paying a stiff premium makes even less sense to them. Resale value of a high-end trike unknown. Pros - Hand and foot throttles for both seats; foot pedals adjustable. Rear-seat steering. Excellent trim system; works well and universally labeled. Isolation of electrical wiring from fuel line routing. Secure placements of kill switches. Hydraulic brakes on all three wheels; two hydraulic systems for more versatile adjustments. Cons - No landing aids like flaps (true for all trikes to date). Fuel sight gauge not marked for quantity on test trike. Engine access not as open as older trikes. No other system negatives. Pros - Three-wheel dual-system hydraulic brake package is highly effective, more so than most planes I've flown. Dual hand and foot throttles with rear-seat steering. Storage areas provided in several locations (see article). Strikingly styled cockpit fairing is very roomy. Secure, comfortable steering pedals. Cons - Fabric gear leg fairings are light and functional, but don't match the high quality in most components (though they save weight). Full-face helmet recommended and therefore won't appeal to everyone; open-cockpit aircraft are a smaller part of the market, possibly affecting resale. Pros - Large, supportive foot pedals and trailing link suspension that suspends the nose well make the Tanarg very comfortable in taxi. Excellent engine vibration dampening; none felt through airframe. Hydraulic brakes on all three wheels are very powerful. Rear-seat steering and foot throttle. Cons - Push-right/go-left steering, now standard on nearly every trike, remains counterintuitive for conventionally trained pilots. Recommended full-face helmet restricts ground visibility. No other ground handling negatives. Pros - Very fast acceleration, short takeoff roll, strong climb rate come on this lightweight 912-powered machine. The iXess wing helps produce quick ground break. Excellent energy retention. Wide-open visibility on takeoff and landing. Stout and secure-feeling chassis with good ground clearance. Cons - The 81-hp Rotax 912 represents excess power for many applications; flown solo, I used around 60% throttle for launch. Faster flying wing brings speedy ground roll, which makes push-right/go-left steering seem more difficult. Trikes cannot compensate as well as 3-axis planes in crosswinds. Pros - The iXess wing has a good percentage of the light handling of the earlier Kiss wing (also reviewed with the Tanarg) plus the speed performance of the older, faster XP series. Trimmer system nicely eases handling pressures. Highly reliable handling; you always get what you'd expect from Air Création wings. Cons - The iXess wing is so well achieved that handling negatives are few. Significant crosswind limitations still apply despite excellent iXess wing handling. Maintaining control of a movable wing while taxiing in gusty winds can demand some muscle power. Pros - The Tanarg with 81-hp Rotax 912 engine plus iXess wing make for excellent trike performance. Fast climbs. Maximum cruise of 85 mph with stall down into 30s. Very effective trimmer helps pilot use full performance range. Even at high speeds, the iXess wing possesses good control authority. Low vibration engine mount even at higher power settings. 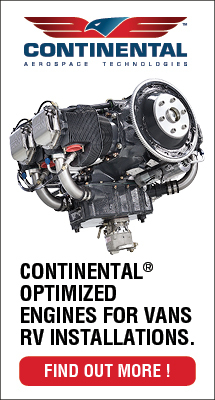 Cons - For some situations the Rotax 912 has more power than needed (unless large occupants, high elevations, or floats). Landings and takeoffs are rather brisk in Rotax 912-powered iXess. No other performance negatives. Pros - Excellent stability characteristics at any speed range with iXess wing. Wonderful, well-behaved ultralight. All stalls were very benign; did not break (only through very aggressive entry can you produce a stall break). Longitudinal and throttle response checks were positive. Three-point pilot restraint is secure. Parachute fitting bracket is standard equipment as is a related automatic engine shutdown. Cons - Like most trikes, the iXess wing cannot be steeply dived, even with power reduced (with too much power, no dive is possible). Some overbanking tendency noted if bank angles become steep - common in trike wings, which employ some anhedral. No parachute fitted to test Tanarg aircraft (even though company is supportive of devices). Pros - The Tanarg 912 iXess is presently the state of the art in weight-shift aircraft; it seems appropriate that it was the first trike to win SLSA approval. New design is so thorough that it's hard to imagine additional improvement. U.S. representation is predictable and solid with American ownership of part of the Air Création company. Cons - The Tanarg's $50,000+ price is a barrier to many pilots; may affect eventual resale. Less appropriate for beginning trike pilots (though they could certainly learn to fly the Tanarg 912 Kiss (or other lower-performance wings available on the Tanarg). 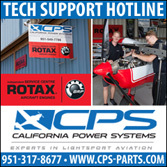 The Rotax 912 engine is expensive and complicated compared to 2-stroke choices. First weight-shift S-LSA sets the bar high In street vernacular, the term “crotch rocket” refers to a lean, lightweight, high-performance motorcycle. Sometimes called sport bikes, these machines have become radically snazzy in modern years by the addition of rakish body panels. Sport bikes accelerate like a rocket. They corner tightly, and they turn heads wherever they go. 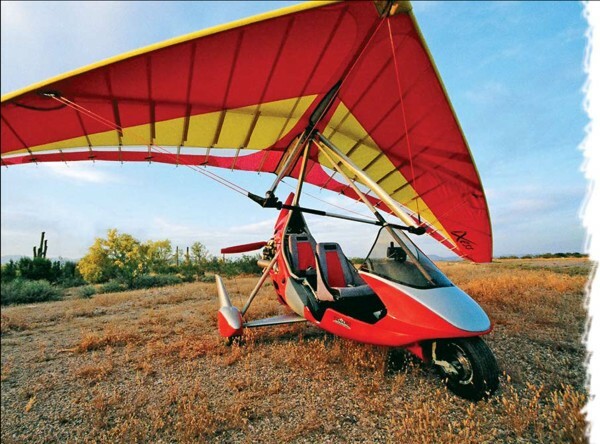 The first weight-shift trike to earn special light-sport aircraft (S-LSA) approval, the Air Creation Tanarg might be compared to just such a vehicle. In fact, that’s precisely how its French manufacturer describes its newest machine. Yet, while sport bikes are touchy and have less margin for error than other motorcycles, Air Creation’s flying sport bike is highly stable with predictable handling. Compare Tanarg’s performance to other trikes, and it comes out as a top-of-the-line entry. The name Tanarg comes from the highest mountain range in the Ardeche region of southern France, not far from the Air Creation factory. The Tanarg: Most Deluxe Trike Ever? 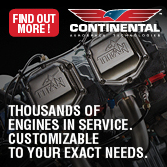 CONTROLLED CARBS - The Tanarg uses a sophisticated liquid-cooling system to control carburetor heat. Jean-Luc Tilloy points out the lines for this system. STORAGE AND/OR CHUTE - Air Création provides several storage areas in the Tanarg and this body cavity is one. It can hold cargo or you can install a parachute here. Both may be a possibility, but you'll want to watch total weight. IMPORTANT WINGNUTS - These two finger-secured bolts (one is shown being tightened) serve to assure the mast is fully erected. Panel light shows if these are not snug. ROCKET BODY - Like "Pocket Rocket" motorcycles, the Tanarg makes good use of dramatically shaped composite shells over steel structure. ROOMY PANEL - The Tanarg provides plenty of space for instruments, shown here with several "steam gauges." Note the radio placement just below the panel where a bracket is mounted for such use. BURIED BATTERY - The electrical system battery is tucked neatly behind the front seat, which also places this weight forward on the chassis. SIMPLE STORAGE - The Tanarg has many clever storage areas. This bag occupies the rear seat when the trike is flown solo (as is commonly the case with most 2-seat aircraft). ADJUSTABLE FRONT FORK - The Tanarg accommodates occupants of various sizes well; this view shows the rudder pedal position adjustment lever. Also note the large, secure foot pedals; the right pedal shown also operates the foot throttle. SIMPLE RIG - In the front seat is Gilles Bru, primary designer of the Tanarg (and most other Air Création machines). Seated behind him is Sales Manager Jean-Luc Tilloy. Both men have been attending U.S. airshows for years and they know the American market. HIDDEN WIRES - The radio antenna wire can barely be seen because it's hidden under the fabric fairing covering the horizontal landing gear leg. This view shows the antenna by the wheel pant with electrical wire exposed under the fairing. FUEL RIGHT - All routing of fuel lines are to the right side of the chassis to separate them from the electrical lines. Note the sight gauge for fuel quantity. Air Création planned to mark this for quantity level. ELECTRICAL LEFT - All routing of electrical lines are to the left side of the chassis to separate them from the fuel lines for safety's sake. This view also shows the instructor's protected kill switch. STASH PLACE - Behind the rear seat back is one of several storage places provide in the Tanarg. Note the front seat has the same location. REAR ADJUSTMENT - It's uncommon for trikes to have rear steerable pedals but no others that I'm aware of also feature adjustment like the Tanarg. Note the secure clip lying on the floor while the rotating adjuster "gears" are visible. When Air Création introduced their beautiful Tanarg trike to American pilots in 2005, it earned a very warm response and, at the same time, shock at its $53,000 price tag - some $10,000 more than the next closest high-end trike. Pronounced Tan-ARG (rhyme it with "barge," except the G is said softly, more like TAN-arz), the machine is impressive. Even for those pilots or newcomers who regard weight-shift control trikes as "weird," or "hard to understand," the Tanarg design concept earns respect rapidly. This aircraft has received enormous attention to detail while also gaining in strength and ease of use. Air Création engineers built on many successful years of designing and producing lots of trikes - some 2,500 of them - to create a stunning work of aeronautical art. Nothing on the market is quite like the Tanarg. The last time I wrote about Air Création, I talked about my experience with their wonderful new iXess wing (once again introducing a hard-to-pronounce name). Our subject aircraft this month is the Tanarg (chassis) and iXess (wing). Since I've written about the wing in UltralightFlying! magazine's December '04 issue, this article will focus on the new carriage, and how well it works with the iXess wing. Where to Start? The Tanarg is a new trike in every way. Every part of it is so completely different than any earlier Air Création trike that it's tough to know where to start. I asked lead designer Gilles Bru to show me around his creation. He kindly pointed out many new features, in great detail. The whole carriage sits a little lower to the ground, which adds to its ground stability. The longer wheelbase also aids stability, and the nosewheel is somewhat extended compared to earlier Air Création trikes. When I asked how this chassis affects the in-flight feel, Bru observed that airborne changes of power no longer change the carriage position to the wing because the thrust line is superior to earlier models. Some trikes require careful use of power so as not to get the carriage swinging - something like the pendulum effect possible under a powered parachute canopy. As with the iXess wing before it, the Tanarg was four years in development. When you try to refine the state of an art, which has advanced considerably, you must truly stretch your design vision. Doing so takes time, even for experts like Bru. The Tanarg's primary mast structure is chromoly steel, which is then painted to reduce the chance of corrosion. However, the front fork is still made of aluminum, as is the main shock-absorbing landing gear strut (the one on the angle). While steel is appropriate for areas needing great strength, aluminum will always survive on aircraft for its light weight and corrosion resistance. The steel portions of the Tanarg include the mast and seat structure, but not the forward support tube. The horizontal gear fairing has a smooth look through a fabric cover. I would not have expected a fabric fairing on a deluxe vehicle like the Tanarg, but this material is light and does the job while also easing inspection. What grabbed my attention right away was the Tanarg's extensive body fairing, which is just like the most radical "pocket rocket" motorcy cles. It's a look that sells and will redefine how trikes are built. Remarkably, Bru reports all the changes to the Tanarg add only 5 kilos (11 pounds) to the also-deluxe (and still-in-production) Clipper chassis. Such a small weight bump is quite astonishing when you consider how many changes have been made, and how robust the entire assembly is. Easy Up Have you ever watched a trike pilot set up his aircraft from a small trailer or the back of a pickup truck? A fairly small package transforms to a full aircraft as a chrysalis turns into a butterfly. But when this happens an awkward moment often arrives when the setup calls for another person to help brace the trike (some pilots use chocks for this purpose). On most other trikes, lifting the wing pushes aft on the main gear, so you have to chock them to keep the trike from rolling. That hassle is history on the Tanarg. Underneath the forward support of the rear seat is the fulcrum point where the wing mast now hinges. Bru says, "When you lift the wing, the trike does not roll." He assured me that one person could also erect the wing easily - no small feat for a 100-pound wing raised several feet into the air. The Aquilair Swing used a similar system back in the early 2000s, but Air Création has taken the concept further. The Tanarg also reflects a more modern appearance than the Swing, which now looks somewhat boxy in comparison. It may first seem a nit-picking detail but Air Création went to some length to separate electrical and fuel lines on the Tanarg for safety's sake. All electrical wiring is routed down the left side of the chassis. An aft-seat kill switch is just under the instructor's left knee. The main switch is on the panel. Both are protected switches. All fuel lines are routed down the right side of the chassis to separate them from the electrical. The choke is opposite the instructor's kill switch, under his right knee. Fuel filters are on the same side as is the sight gauge for the fuel tank, which the factory will mark with quantity levels. The new trike chassis holds 65 liters of fuel (17.2 gallons). The Tanarg throttles have also been changed. The hand throttle is now push/pull just like a conventional aircraft throttle. The foot throttle remains part of the beefy and comfortable foot pedal. Carburetor heat is controlled by a liquid cooling system so that it does not require any pilot input. The Tanarg's battery is located aft of the front seat. When you lift out the rear seat, a zippered pouch is provided to hold your aircraft documents. Two pins secure the location of the mast when fully erected. These pins must be in place securely, or a panel light will light up to show the incomplete assembly. For radio-equipped Tanargs, the antenna is located by the right wheel pant, the connecting cable for which is hidden inside the fabric covering over the horizontal gear leg. Greater Occupant Comfort Trikes remain open-cockpit aircraft and as a trike enthusiast, I wouldn't have it any other way. So, although you'll want to invest in a comfortable, protective full-face helmet to go with your Tanarg, the French company also knows you want to be comfortable and well served. Commensurately, cabin comfort has received attention, as has adjustability. The rear seat no longer requires a climb for entry. You can turn around and sit down on it and push the front seat forward to swing your legs over. The seat back angle can change, rather like an airline seat, moving back and forth a few inches. You can also tension the seat side panels that can enhance your secure feel in the seat, much like adjustable bolsters in some high-end sports cars. The Tanarg accommodates occupants of various sizes in more ways than seat adjustments. Using a threaded, overcenter lever, you can move the pedals fore and aft over a range to accommodate taller or shorter pilots. Rear pedals also adjust after you remove a collar pin that unlocks the fit into some gears, which permits each pedal to be separately adjusted within a range via rotation. Trikes have sometimes been faulted for having no cargo or baggage capacity. Air Création heard those comments and added many such areas in the Tanarg. Storage areas include: a map pocket holder on the back of each seat; storage areas on either side of the pilot's legs, right at the step-in point; an add-on bag can be used when the trike is flown solo (as are most 2-seat machines most of the time); and, a not-accessible-in-flight space under the seat frame is available unless you choose to fill this space with an optional emergency parachute. In earlier Air Création trikes, the rear seat was folded to make better support for the front seat back when flown solo. Now the new storage bag serves this purpose so you gain space, and also better support. Once seated and after the surroundings exploration was done, I fired up the powerful 81-hp Rotax 912 engine and began taxiing out for takeoff. I found a very well suspended ride in the Tanarg and felt almost no engine vibration. The nosewheel steering is no longer part of the front fork assembly where your actions are very direct. Now the linkage is part of the main airframe, which permits the above-described rudder pedal fore and aft adjustment via a friction-type clamp that requires no tools. The nosewheel construction is a leading link such that when you hit the brake it does not compress and nose down somewhat. However, brakes aren't limited to the nosewheel as in most trikes. Hydraulic brakes are fitted to all three wheels and larger tires, giving the Tanarg impressive slowing and stopping power. Two hydraulic cylinders allow the front and rear brake systems to be adjusted separately. Two Wings, One Chassis Air Création made the Tanarg available with two wings, an older but easier handling Kiss wing that I've enjoyed before and the newer, still remarkably easy handling iXess wing. You may also fly the Tanarg with the Fun 450 or the iXess Training model, though I didn't fly those wings on this trike chassis. One-handed flying proved to be easy on the Kiss wing attached to the Tanarg. For me, this wing might be my choice as I prize lighter handling. But the iXess wing is still adequately easy and offers a higher top speed. If you plan to go cross-country often in your Tanarg - something it accomplishes very well - then the iXess wing should be your choice. If you fly locally most of the time, the Kiss may be your sweetheart. Both wings have the trimmer system, and adjustability in the trim remains very convincing. Hands off, idle thrust speed in the iXess with the trimmer turned to each limit went from 65 to 85 km/h (41-53 mph). Earlier, Bru suggested that I take off and land with the trimmer in the zero position. The rabbit-and-turtle graphical label for trimmer applications (faster or slower) can be understood in any language, appropriate for a company that sells all around the world. Setting the trimmer to neutral may also be useful to help contain that big engine driving you into the air. I flew solo and after the first launch, I never used more than about 60% power to get aloft. I can envision high elevation sites where 80 hp may be necessary. Two-place flying with big American occupants could be another reason, but when flying solo I would rarely expect to use more than a little over half that power reserve. Since the trimmer results in a repositioning of the control bar, I found the handling was actually better when the trim was set to high speed as this meant I did not need to pull aft on the bar with as much effort; it was already further aft. When the trim was set slow, I had to pull aft to help accelerate into the turn. This is probably why Bru encouraged me to approach for landing in the neutral trim position, to facilitate better control. On tailless wing trikes, conventional trim has no surface (an elevator) on which to exert influence, and you can't use a stick reposition system like a Quicksilver ultralight or Sonex homebuilt. Trikes use a series of luff lines or pitch lines that hold up the trailing edge when the rest of the wing draws tighter, or forward. Like regular trim, this is sufficiently subtle that you might not see the trailing edge movement, but you'll notice the relief on the control bar. The new iXess wing is only made in a single size, thanks to its versatility, yet the Air Création trimmer system extends usable speed range. Despite the differences in wing membrane construction, the same airframe structure is used inside the Kiss, iXess, and Fun wings, though each wing is significantly different from the others. This design move simplifies the effort of manufacturing as well as making it easier for dealers to have parts on hand. Delta wing airframes are important, certainly, but the larger share of what makes the wing work is the sail cut, rib patterns, and numerous refinements that seek to improve handling and speed range. On the more sophisticated iXess wing, the entire top surface of the sail is made from Trilam because it's a better match to higher speed. The iXess also has a cloth doubler on the trailing edge due to stress from a tautly stretched wing. This added construction step is not needed on the Fun 450, which employs much less trailing edge tension To help maintain the fine handling of the Kiss wing, a portion of the iXess undersurface uses spinnaker cloth, a modestly lighter cloth with more flexibility. The more malleable cloth keeps the relationship between upper and lower surfaces more elastic to help with handling and low-speed flight characteristics. The concentration of spinnaker cloth is at midspan where it can do the most good. I found the iXess wing to have an indicated range of about 50 to 140 km/h (31-88 mph) dual or solo - a respectable three-times range of speeds. Maximum dive speed with no power in the Tanarg 912 indicated 72-75 mph when the trimmer was left in the neutral position. Compared to most trikes, this is speedy, though it's no match for modern fixed-wing light-sport aircraft. During assembly or derigging, you realize what it takes to make a foldable membrane wing like iXess. The design uses nine lower ribs, with somewhat wider spacing at the tip to allow more shifting of the wing for improved handling - the way the sail and airframe move relative to one another is what allows a delta wing to respond so well to weight-shift control inputs. The upper surface of the iXess has 13 ribs to maintain a precise airfoil shape. In all, 44 ribs go into the iXess wing. All this attention to careful wing design allows Air Création to claim competition wins with the iXess wing: First-place wing at the 2001 World Championships, a feat repeated at the 2002 European Championships - all while the wing was still in development. The Tanarg 912 with the iXess wing climbs so strongly on takeoff that you'll only use full power if you are heavier with two people, flying heavy at high elevations, or when flying off floats (the company also offers a float kit). Not only did I observe a smooth ride on the ground, both Tanarg models I flew impressed me with the very low amount of vibration you feel in the seat. To me, this was one of the most convincing qualities assuring this new trike chassis was designed for longer flights. Air Création has long offered recoil 3-position pilot restraints in both seating positions. And while neither Tanarg model was equipped with a ballistic parachute, the company sells so many of them that they are one of a few companies to develop and incorporate an automatic engine kill switch into the rocket motor's pull handle. In Air Création's case this was done in cooperation with BRS engineers to assure proper execution. For those wanting a parachute, Air Création has worked with BRS to create a bracket that comes standard with all Tanarg trikes. The BRS rocket motor will exit on the left side of the Tanarg fuselage. Are You a "Trike Person"? If you haven't already tried trikes, the Tanarg is one you should experience. You may not wish to spend the money on this top-of-the-line model, but it will give such a good ride and flight that it might change your mind about the potential of weight-shift aircraft. Now that two Air Création trikes - the Tanarg 912 and GTE 912 - plus one AirBorne trike have achieved Special Light-Sport Aircraft status, these "unusual" aircraft must be welcomed at any airport accepting federal funds for their development or upkeep. The Tanarg is in every way a very deluxe aircraft truly deserving of another look by those who may cast a doubtful eye on weight-shift flying machines. I recommend contacting the company's U.S. representative, Air Création USA, and finding the nearest place to get a test flight. You might want to travel to this facility in the Phoenix, Arizona, area. Not only can you access the entire line of Air Création trikes but you can get lessons seven days a week. 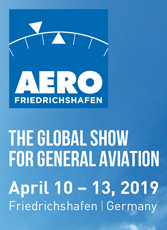 And, if you're really lucky (and have the wallet for it), you should try to enlist in one of the company's "Aero-Trekking" adventures. When Air Création introduced their beautiful Tanarg trike to American pilots in 2005, it earned a very warm response and, at the same time, shock at its $53,000 price tag – some $10,000 more than the next closest high-end trike. Pronounced Tan-ARG (rhyme it with “barge,” except the G is said softly, more like TAN-arz), the machine is impressive. Even for those pilots or newcomers who regard weight-shift control trikes as “weird,” or “hard to understand,” the Tanarg design concept earns respect rapidly. This aircraft has received enormous attention to detail while also gaining in strength and ease of use. Air Création engineers built on many successful years of designing and producing lots of trikes – some 2,500 of them – to create a stunning work of aeronautical art. Nothing on the market is quite like the Tanarg. The last time I wrote about Air Création, I talked about my experience with their wonderful new iXess wing (once again introducing a hard-to-pronounce name).